Thomas Jonathan (Stonewall) Jackson by Chris Collingwood. 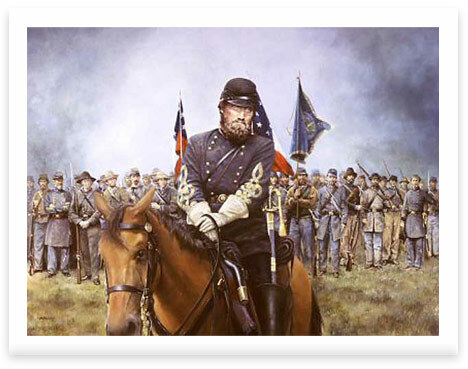 Stonewall Jackson with the Stonewall Brigade during the Valley Campaign of 1862. Original painting by Chris Collingwood.